All Nippon Airways chose the name "Vanilla Air" for its LCC in part for Vanilla Air's popularity, simplicity and inoffensive connotation. 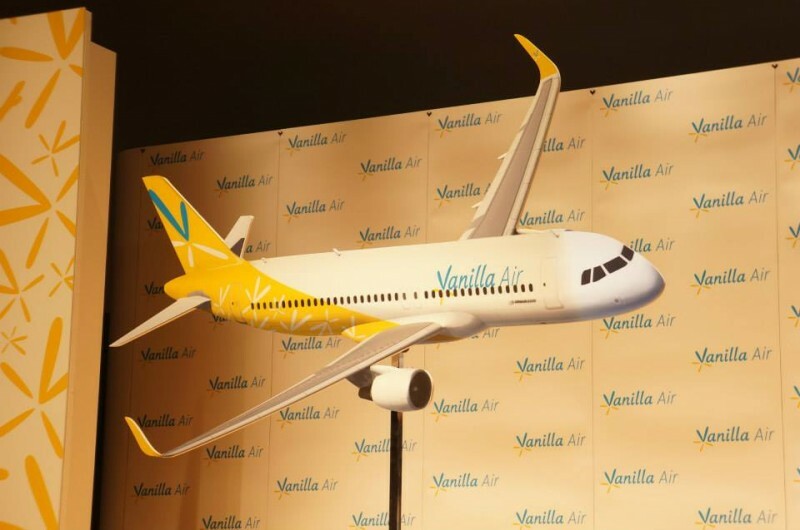 Those characteristics will be the initial theme for Vanilla Air's route network, as the carrier largely sticks to the network created by AirAsia Japan, the JV that will end operations in Oct-2013 before re-branding to Vanilla Air in Nov-2013. 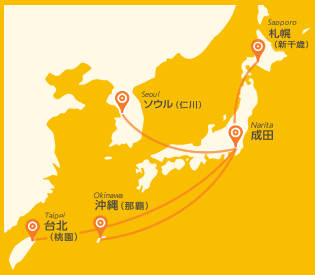 Vanilla Air's initial route network from its Tokyo Narita hub will include Okinawa, Sapporo, Seoul Incheon and Taipei Taoyuan. Vanilla intends to later launch services to beach markets like Guam and Saipan. ANA ended Guam services in 2009 and has not served Saipan in recent history. A later phase could see Vanilla Air serve Indonesia and other points within eight hours' flying, which will presumably require an aircraft other than the A320 Vanilla plans to launch with. Vanilla has flagged that A330 operations could be a possibility in the future. This raises concern as Vanilla Air will already be challenged to achieve a strict cost base and have efficient operations. With plans to offer free checked luggage to all passengers, Vanilla Air may be morphing from a low-cost carrier to a hybrid leisure carrier. But, unless a clear vision is specified from the start, erosion of low cost objectives will be inevitable. Vanilla Air plans to launch services from Tokyo Narita to Okinawa (Naha) and Taipei Taoyuan with a daily service from 20-Dec-2013. A gradual ramp-up will see frequencies added and Tokyo Narita-Sapporo and Tokyo Narita-Seoul Incheon brought online. On 15-Mar-2014 Vanilla Air will operate up to 13 roundtrip flights. 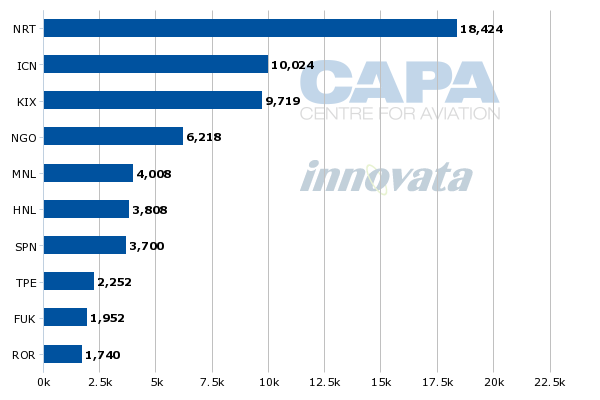 Its presence will be far more concentrated than what AirAsia Japan achieved. Vanilla will have four daily flights to Seoul Incheon whereas AirAsia Japan only had two at its peak. Peach Aviation has only had three Osaka Kansai-Seoul Incheon services. Vanilla will also have double daily flights to Taipei whereas AirAsia Japan had a daily. Vanilla will match AirAsia Japan's three daily flights while putting extra capacity into Okinawa with up to four daily flights. Vanilla Air will launch with two A320s and plans to have five by the end of Mar-2014, eight by the end of Mar-2015 and 10 before 30-Sep-2013. Vanilla will be eyeing utilisation rates higher than those achieved by AirAsia Japan or Jetstar Japan. One Okinawa flight will arrive from Tokyo at 01:30 and then depart Okinawa at 05:40. A Taipei Taoyuan service will arrive at five minutes past midnight and then leave Taipei at 03:00 to arrive back in Tokyo at 07:10, shortly after Narita's 06:00 curfew is lifted. Some of these times are bolder than what Peach has pursued with some overnight flights (such as Hong Kong-Osaka Kansai). While they will enable Vanilla to lower its unit costs, initially filling these flights at sustainable yields could be challenging as Japan is not used to such off-hour flight times. Indeed, the 03:00 departure from Taipei is especially confronting. LCCs that have had late night/early morning services have seldom had departures before 03:00. 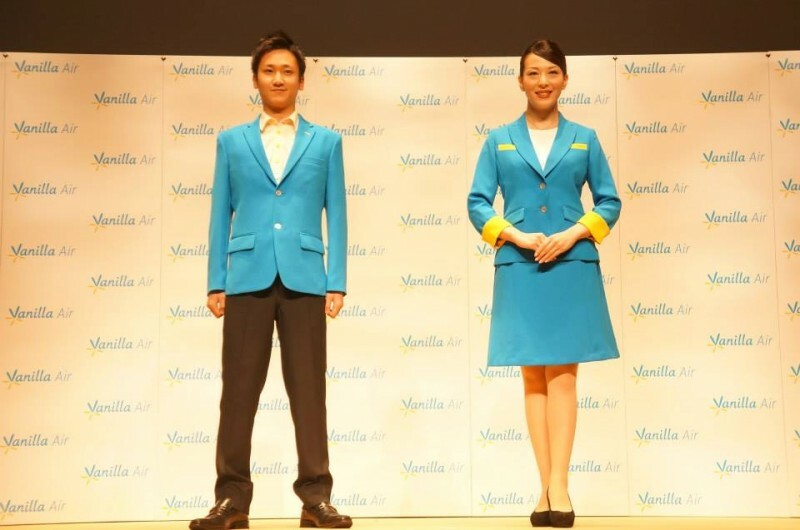 Vanilla Air's launch fares, for sale from 01-Nov-2013, are broadly in line what with the market has experienced from either AirAsia Japan or Jetstar Japan. Vanilla Air's fare structure is different from the existing Japanese LCCs as 20kg checked luggage is included for all passengers. This does break typical LCC practice of charging for checked luggage, but Japanese passengers travel light with a lower propensity to check a bag; carry-on only travel is normal. Vanilla will be challenged to convey that its entry-level fare – higher than Jetstar Japan and typically more than what AirAsia Japan charges – brings value. Once factoring in 20kg of luggage from AirAsia Japan or Jetstar Japan, Vanilla's initial fares are similar. Note: Includes taxes and surcharges for domestic flights but excludes them for international flights. All fares exclude payment fee. Vanilla, like Peach Aviation (only partially owned by ANA), will have a two-tier fare structure with a more expensive option featuring greater flexibility. Jetstar Japan has reported higher than expected fees from passengers changing their ticket. Vanilla's launch cities and fares were announced on 30-Sep-2013 at an event in Tokyo. During the event Vanilla Air also debuted its livery and crew uniform. Vanilla Air has flagged it will later enter Guam and Saipan as part of its focus on leisure routes and resort destinations. Vanilla has announced it will not resume, in the near future at least, AirAsia Japan's Nagoya base. While Vanilla's history is still brief, it looks likely Vanilla Air will fly less in the domestic market than AirAsia Japan intended. This will largely hand the ex-Tokyo domestic network to a grateful Jetstar Japan. ANA has not served Saipan in recent history while it last served Guam in 2009. Vanilla's entry and lower cost base should make the destinations more sustainable than ANA could have hoped to achieve. Saipan in Oct-2013 is linked to Japan only via Delta's 12 weekly 757-200 flights. From Guam, United has a daily 737-800 flight to Fukuoka and twice-weekly 737-700 to each Hiroshima, Niigata, Okayama and Sapporo as well as four weekly 737-700 flights to Sendai. There are also numerous flights from Delta and United to Nagoya, Osaka Kansai and Tokyo Narita from Guam. Korean Air also operates between Osaka Kansai and Guam while JAL also operates between Tokyo Narita and Guam. ANA will be especially pleased to have service, via Vanilla, of a market served by JAL but not yet ANA (Tokyo Narita-Guam). JAL in turn has used Jetstar Japan to enter some domestic markets served by ANA but not JAL. Japan is the largest market from Guam and nearly four times the size of the second-largest destination, Korea. Tokyo Narita is the largest destination from Guam. While Vanilla Air will thus have competition, the yields on these beach routes are exceptionally cosy – meaning there is ample room for fare stimulation. But that requires a management culture that thrives on growth rather than leveraging market position to keep yields strong. Guam is larger than Saipan: Guam has about 69,000 weekly international seats of which 37,000 go to Japan. Saipan has only 21,000 weekly international seats of which 4,000 go to Japan. Japan is the second-largest market from Saipan while Korea is the largest with 9,000 weekly seats. Vanilla Air has also mentioned it could serve leisure points in Indonesia as part of a later focus of serving longer points up to eight hours away – a clear hint that ANA sees the potential for, or need to compete with other, long-haul low-cost operations and also access points beyond narrowbody reach. Neither ANA nor JAL serves any Indonesian point besides Jakarta. But for Vanilla, Indonesia from Tokyo would require an aircraft with longer range than the A320 if fully utilised. Peach intends to serve some Southeast Asian destinations from a new hub at Okinawa, which is closer to Southeast Asia. But even if Vanilla replicated this strategy, Indonesia would still be a stretch given its southern location. Vanilla Air has suggested it could acquire A330s, so the dots are starting to be connected. But viability remains to be proven. Vanilla is already under pressure to deliver a low cost base, despite ANA's diluted experience with Peach. AirAsia also accused ANA of not knowing how to run a low-cost airline. An A320-only operation would be enough of a challenge. See related report: 'Vanilla Air' new name for AirAsia Japan under ANA's control – will it be sweet or plain vanilla? Although with a medium cost base Vanilla Air will find a place in Japan's unique aviation market, its opportunities will be limited by not being low-cost, as Thai Airways found with Thai Smile and other full-service carriers found with off-shots. Jetstar Japan – and later others – will be too happy to take up Vanilla's missed opportunities. Guam and Saipan may be more unique markets and ones where ANA will be happy to have any presence. But it is the four daily flights to Seoul that are an indicator of where Vanilla's focus will be: main cities, not small ones. Vanilla is wisely pushing high utilisation but its fare structure goes against the grain of LCC experience in Japan and elsewhere. So there are some encouraging signs but also some worrying ones. Long-haul and widebody operations are a step up from a narrowbody LCC. While there could today be markets for a long-haul widebody LCC operation from Japan, they are not necessarily for Vanilla's taking. Nor might be they viable once future growth in North Asia is unlocked. The short term is also challenging as Vanilla Air has to re-construct its operation. AirAsia Japan had been piggybacking on AirAsia Japan's systems and practices. For now, there is no shame in Vanilla Air being plain. Indeed that would be its greatest virtue.